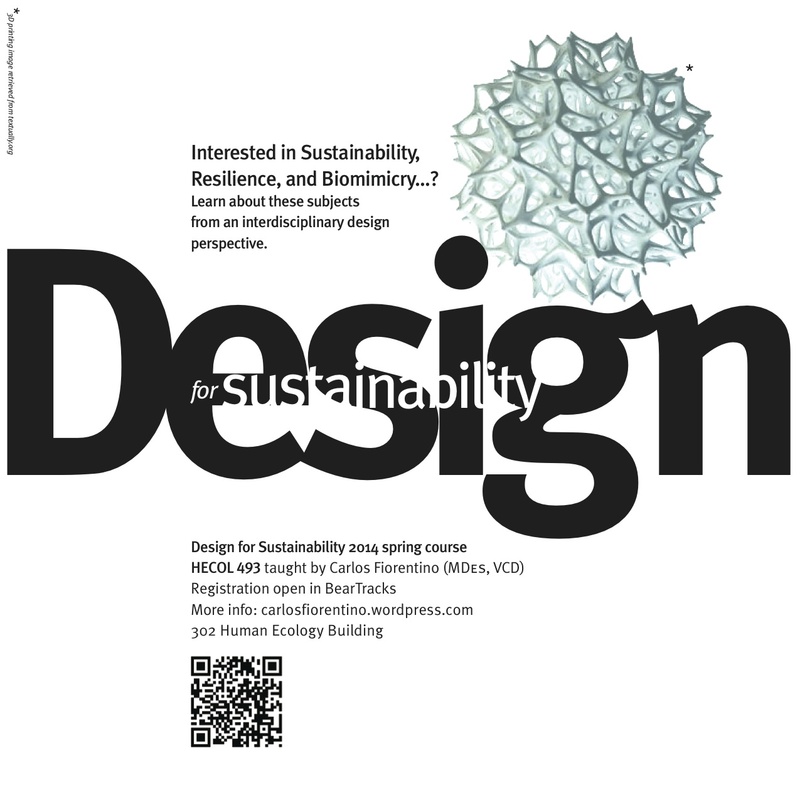 Hecol 493 Design for Sustainability (DfS) introduces a multidisciplinary approach to design and the role of design as an integrating field to approach sustainability. Increasing awareness of and providing extended information about sustainability and its close relation to design decisions is an important goal of this course. It provides a conceptual framework, modifying student’s mind-sets and allowing them to get a broader sense of responsible practice. Students taking DfS will reach a new perspective on traditional design issues and on other fields rather than design. The content of DfS provides a better understanding of the complexity and interconnectivity that rule ecosystems and its relation to design limitations and constraints. The course stimulates critical thinking and It is oriented to students interested in a holistic understanding of the new paradigms and challenges of design fields, bringing retrospective and prospective analysis on core design issues as well finding inspiration in nature to the design process. We are witnesses, for the first time ever, of signs of human-driven exposure to extinction of all species. 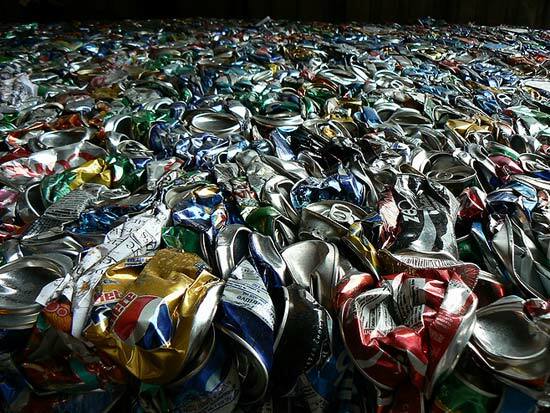 Our civilization is challenging the carrying capacity of the planet, moving from a natural, low entropy state, to a human-made high entropy one. There is no room for misunderstanding, avoidance or denial about the nature and magnitude of the crisis that humans will face in the coming years. In order to survive we have to work towards the fit between humanity and its habitat. Design can play a meaningful role in creating / supporting change, in re-designing our society to help sustain the natural world. Design disciplines involve objectivity, and so dispassionate detachment, however designers find it hard to remain either dispassionate or detached about crucial design matters like sustainability. Design matching sustainability is testimony of the begining of a period of enlightment. Designers have began to understand that design solutions are usually part of the problems that they are trying to solve. 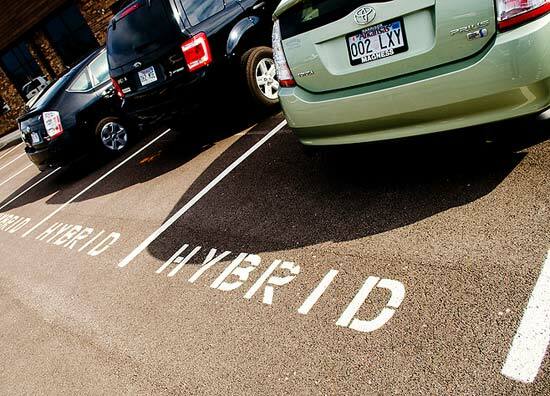 The challenge is now using thinking skills, passion and commitment for shifting to the patterns of a sustainable world. Registration to HECOL493 DfS for spring 2014 is open in Bear Tracks. Priority given to students in the BSc Human Ecology program, however students from other fields of study are welcome to register. HECOL493 DfS is a 3-credit course, three weeks long, commencing on May 5. 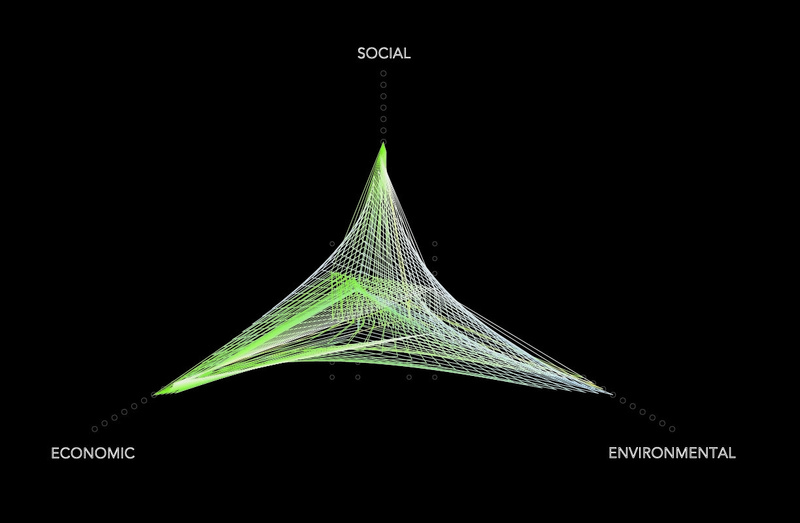 Visualization for LCA created by DfS students: Yue Qin, Nicolas Perez Cervantes & Robert Faulkner.